Masonic Articles | Am I my Brother’s Keeper? 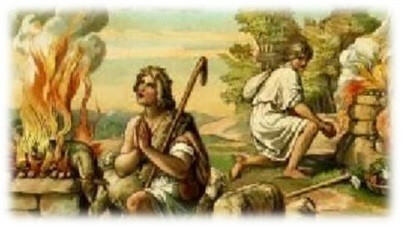 What can the ancient story of Cain and Abel teach us about the human journey and our relationship with God when considered from the Masonic perspective? Basically, the passages from Genesis 4:1-16 can be summarized like this: Cain was the first son of Adam and Eve and Abel was the second son. Cain was a farmer and Abel was a shepherd. When it came time to bring an offering to the Lord, Cain offered fruit and Abel offered a slain lamb. The Lord was satisfied with Abel’s offering, but unsatisfied in Cain’s. Cain, filled with jealousy, killed his brother. The Lord said to Cain, "Where is Abel your brother?" He said, "I do not know. Am I my brother’s keeper?"